According to a January public opinion survey, "Record numbers of Americans say they care about global warming." Even in the 2018 midterm elections, the exit polls did not place climate change among the electorate's top concerns. Instead, 41 percent of voters ranked health policy as the most important issue driving their vote, followed by immigration, the economy and gun control. In all cases, the responses were anchored to the level of support for a generic tax; the support for a specific tax probably would be higher, not lower than that 48 percent. If the survey hadn't first asked about a generic tax, then the recorded support for different versions of the carbon tax might have been lower. Furthermore, the order of response categories influences the level of support. When response categories start with positive values, like "strongly support," the level of support tends to be higher then if response categories started with negative values, like "strongly oppose." So, when a pollster first asks if a person strongly supports a policy, the results could come out differently than if they ask the exact same question, but reverse the order of possible responses. For example, in the case of Washington's Carbon Emissions Fee Initiative I-1631, many TV ads by the I-1631 opponents focused on how this fee would increase the energy bills for households. They also criticized I-1631 for failing on transparency or accountability, because an unelected board appointed by the governor – as opposed to the state legislature – was given the power to decide on how the tax money would be spent. While the Elway poll in October 2018 suggested that 50 percent of the respondents supported the initiative and 36 percent opposed it, the story turned out different in the November midterm election, when 57 percent of voters voted against it. As researchers who study environmental policy and public opinion, we believe that surveys could better predict policy support if they start providing information to the respondent that closely matches the information that they'd consider during an election. For example, surveys could provide respondents with information about the possible problems with and costs of the policy, thereby allowing respondents to consider policy trade-offs. Pollsters might also randomly change the order in which support levels are listed across respondents. They choose the less dishonest. If the equation is 51:49, then 51 wins! Easy. You cant trust any poll data published by the media. 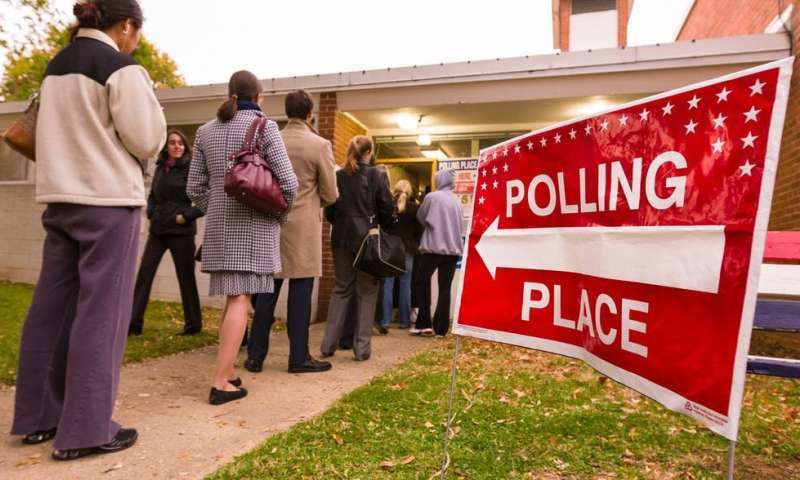 "According to a new The Hill-HarrisX poll released Thursday, a majority of registered voters (52 percent) are doubtful about surveys they hear about in the news media. Twenty-nine percent of respondents said they don't believe most polls but do trust a few while 19 percent said they "almost never" believe that polls are accurate." -We demand reliable data but cannot trust any human to provide it. This is another reason we will be embracing machine intelligence. Fake news being promoted by some who want everyone to start screaming with them about "climate change" (whatever that means). For most that is some tiny issue maybe on a back burner. Much, much more pressing are topics like jobs, being able to provide for family, being able to build and sustain a moral society, etc. "Americans say they're worried about climate change – so why don't they vote that way? February 4, 2019 by Nives Dolsak And Aseem Prakash, The Conversation"
"'The Conversation US' arose out of deep-seated concerns for the fading quality of our public discourse – and recognition of the vital role that academic experts can play in the public arena." IOW its PROPAGANDA. Mercenary liars. Subsidized academies who would otherwise be selling burgers and telemarketing and restocking walmart shelves. Simple, they fear retributions from there rightwing climate denying bosses, No Trump loving Rightwinger would be caught dead in a Prius for example. ...and you think rachel maddow is a beacon of hope dont you?